In addition to my pleasure reading (I'm trying to make my way through the third in the Stieg Larsson Girl with the Dragon Tattoo trilogy - while remembering who all the characters are in this complex book with a lot of Swedish names), I've been reviewing some other books you may be interested in. Power Hungry by Camilla Sulsbury - If you're interested in saving money on snack bars or you want to control what ingredients your kids eat, this is a great book. 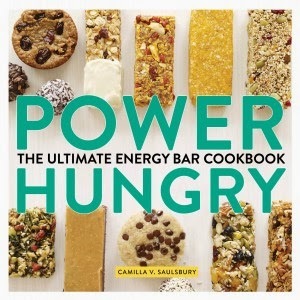 There are tons of recipes for snack bars, energy bars, performance bars and nutrition bars. 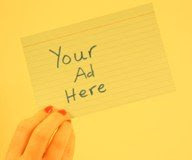 You can mix and match ingredients and work off the templates she gives. I haven't tried the recipes yet, but now I'm tempted. Most of the recipes are gluten-free, and the author gives ideas how to make them vegan, nut-free, or other variations you might be interested in. I don't want to say too much more about the book, since I'm writing an article about this for another publication, but there's a lot in it to like. reading more than half, I can definitely recommend it. 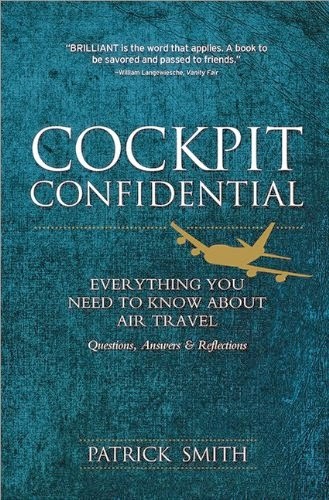 It's written by a commercial pilot who in essay form, answers those questions you have but maybe have never asked. 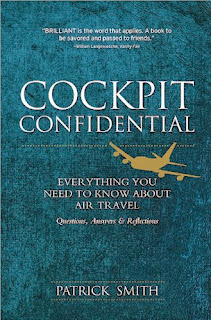 Questions like: how does the plane fly and not drop out of the sky, what is turbulence and should I be scared, how much training do pilots have on different aircraft, how do runways work, what are all the pilot designations (first pilot, copilot), how do the regional airplanes affect traffic and pricing, why can't you use a cell phone in-flight, how to make boarding better, why and when do planes jettison fuel, how do they know how much fuel to carry, how does pressurization work...and many many many more. The book is written in small chunks, so you can pick up and leave off whenever, and not worry about forgetting what you're reading! Sleep: What Every Parent Needs to Know - by Rachel Y. Moon, MD - American Academy of Pediatrics - I was eager to read this book, since one of my kids has problems falling asleep. I was concerned it would only be about babies/infants, but it actually goes into the teen years. It's not the most exciting read, especially when you're in bed and the Dragon Tattoo girl is calling. But it's organized in a way where you can flip to the chapters of interest. While I wasn't interested in learning how to get a baby to sleep (been there, done that), I was interested in learning about how hormones affect sleep, sleep problems and issues in adolescence, insomnia, how much sleep kids need at different ages, and other topics. We still haven't solved the sleep issue at home, but at least I'm better informed. If your child has any issue with sleep, I recommend getting a book like this to give you more information and ammunition. math - two things my son is very into. The cover of our book looks different than the one on the right. Same characters, but different coloring and composition. It's not a series I'm familiar with. The description; "In the world of Gossamyr, power is as simple as comprehension (of math theorems). Denny's unique gift allows him to solve theorems that would drive anyone else insane... He can only solve problems, not consider the appropriate answer for a situation. 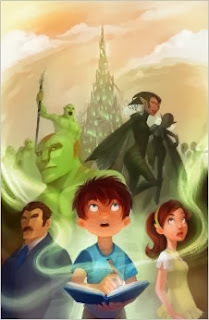 Fortunately, the children are befriended by allies who strive to send the stranded siblings home before dark forces can use the boy's power for evil." My son didn't like the book, so I read it. I have to say I found it confusing. The drawings are beautiful. The protagonist Denny is a boy who is likely on the autism spectrum. I say that with all seriousness. He's a math genius, but he has to do things his way and has his rituals and routines. Deviate from those, and you get a tantrum. I like having a boy like Denny for a hero - it's a good message to send to kids who might be a little different and who have their own issues, and message that his caretaker sister should listen to him, because he holds more power than she gives him credit for. That said, I really couldn't understand all the story, which takes place in another world, with alien type characters with more confusing names (it's hard enough with the Swedish names in the Dragon books! ).